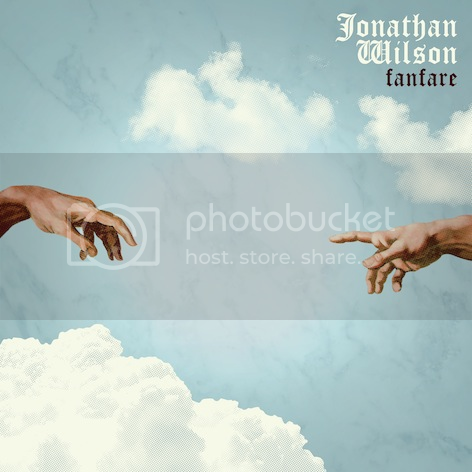 As vintage and fuzzy-warm as curled-up sepia Polaroids of people in recklessly flammable blouses, 'Dear Friend' - Jonathon Wilson's first single from forthcoming album Fanfare' - is a soaring masterpiece of striking Pink Floyd grandiosity. As an obscenely talented multi-instrumentalist, only the best collaborators would do for the follow-up to 2011's Gentle Spirit. Made in Los Angeles over nine months and featuring contributions from the likes of Graham Nash, David Crosby, Jackson Browne, Josh Tillman (aka Father John Misty), Wilco's Patrick Sansone, Dawes' Taylor Goldsmith and Mike Campbell and Benmont Tench from Tom Petty and The Heartbreakers, when you've got friends like these, who needs session musicians? Wilson says of the LP: "There are an awful lot of wizards on this album. Wizards of all ages and life experiences." Listen to 'Dear Friend' and pick out those intertwining influences for yourselves.